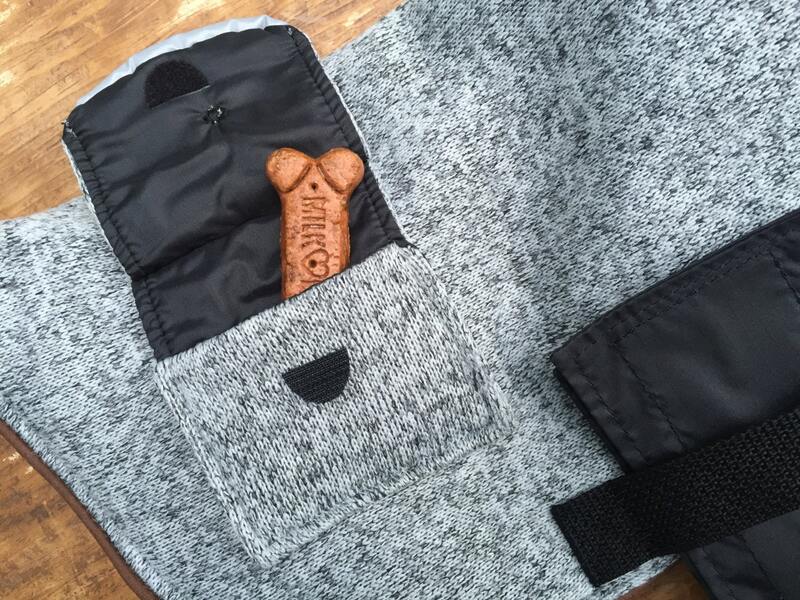 Reflective Sweater Fleece Dog Coat, you choose lining! 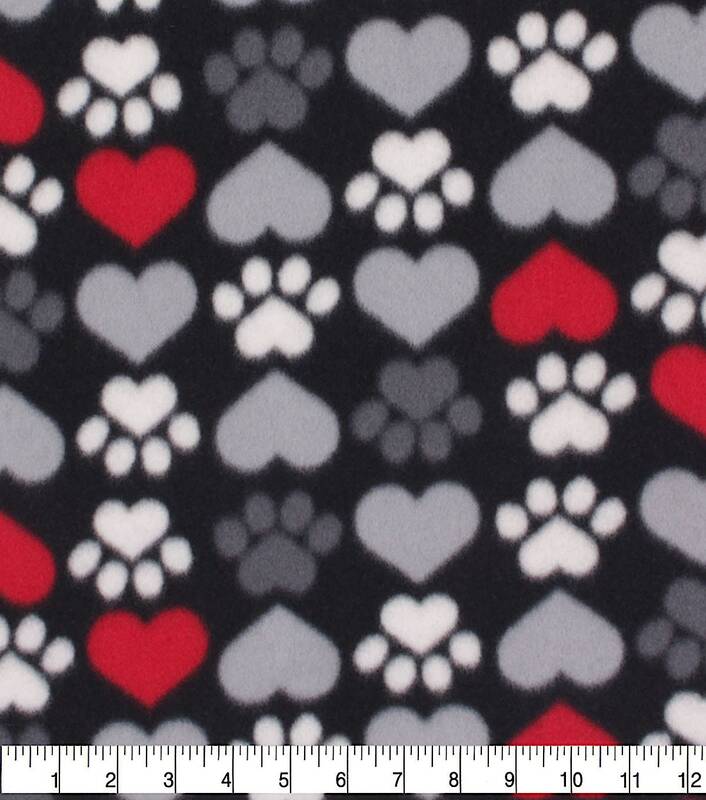 Warm gray sweater fleece outer fabric with your choice of either brown dog print fleece or grey paws and hearts fleece. 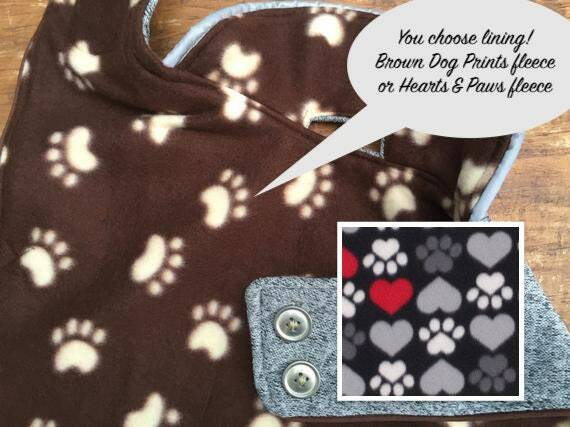 Reflective properties are added to this coat without detracting from the classic coat details, reflective piping is sewn onto collar and on either side of dog on the pockets. The belly belt and neck enclosure are adjustable for a great fit. 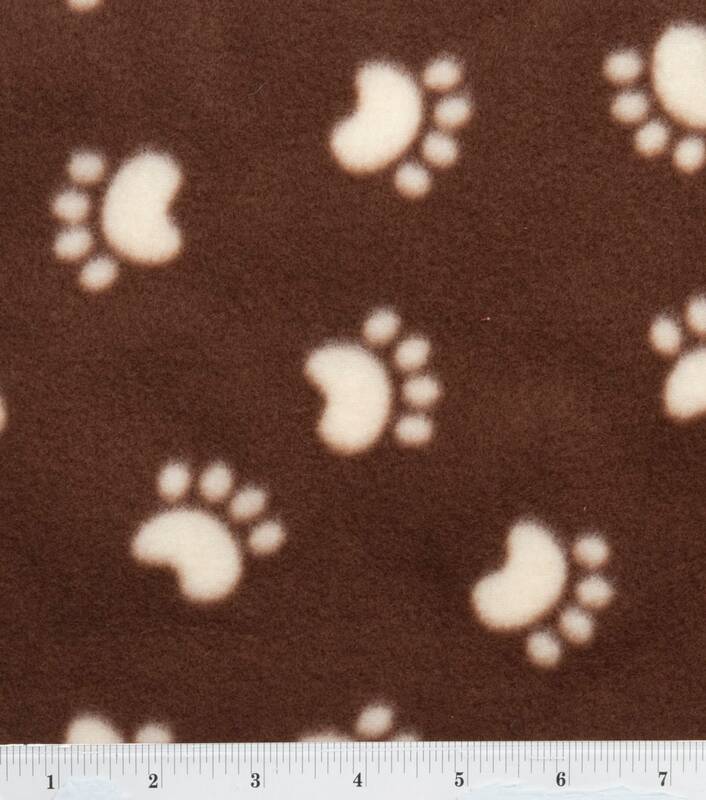 Color of cotton piping will be either brown if you choose brown fleece or black for the hearts & paws. 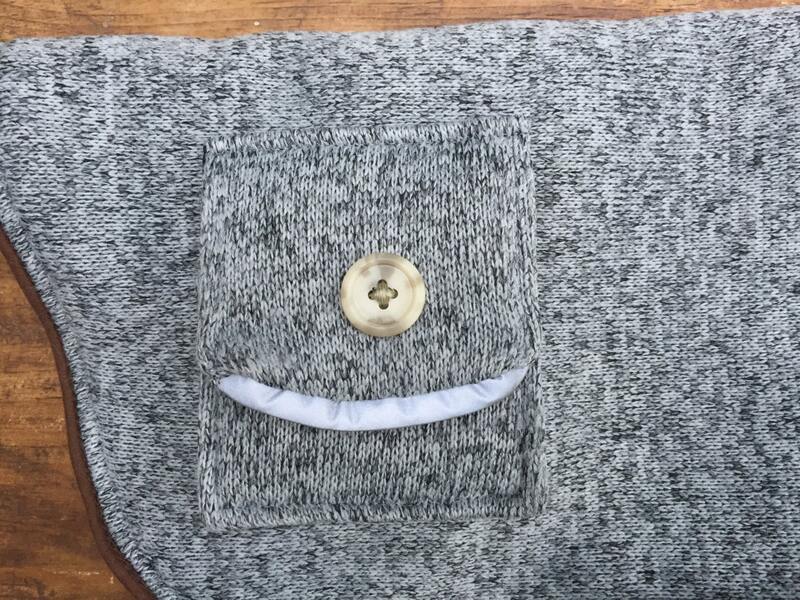 Brown buttons or black buttons will be used at the neck enclosure and on the pockets. Use a harness? 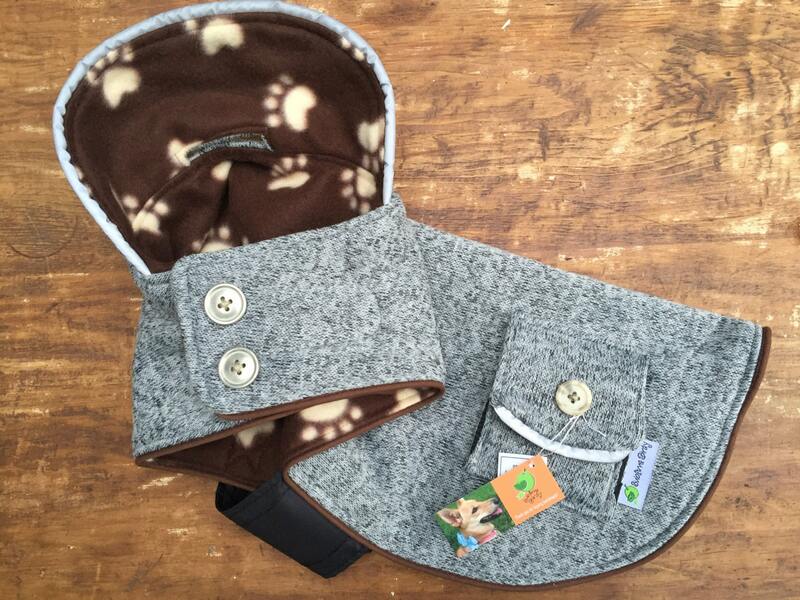 I can accommodate for a harness opening, just let me know in the notes section at checkout. 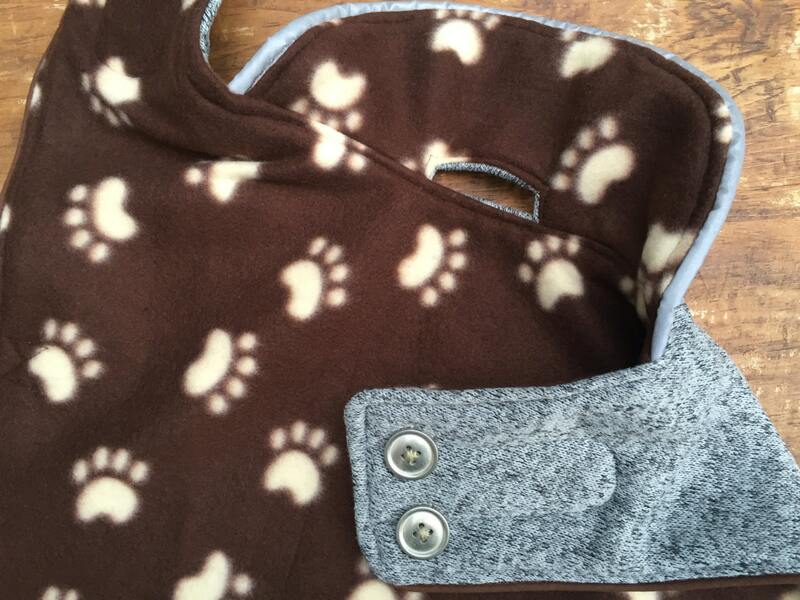 Materials have been pre-washed, coat can be washed in cold water on gentle cycle and tumbled dry. 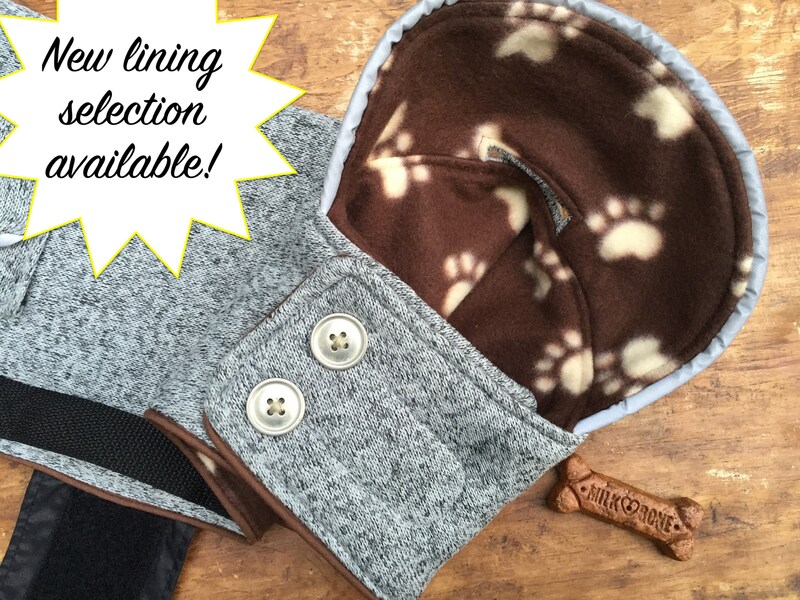 Purchased four coats for our dogs, the fit was perfect and the love them so much they wait at the door to get them on before going out! Hard to find a great fit for our Bulldog, chest fits great with the perfect length. 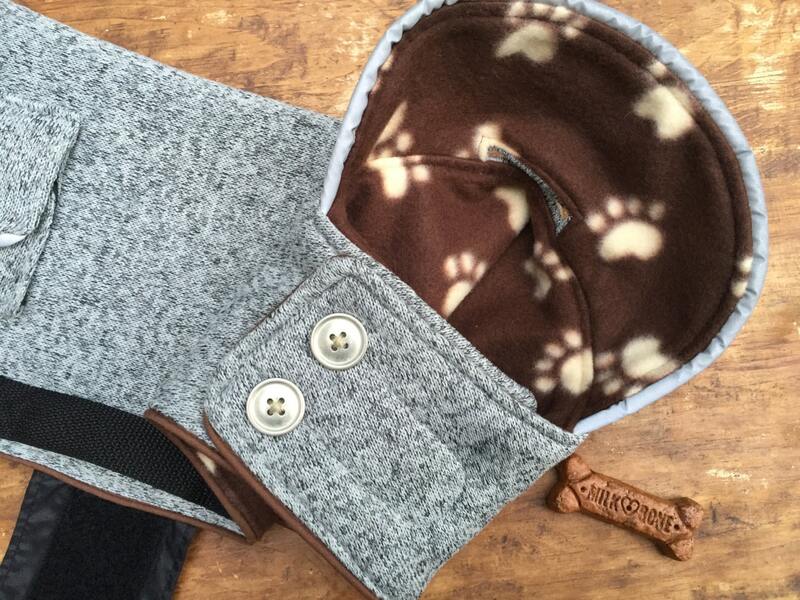 This was such a well-made and adorable coat for my friend's dog. Absolutely love it. I ordered two. One had to be altered to fit one of my dogs. Done quickly and at no extra charge. They are awesome coats and my dogs look so regal wearing them!! Very good customer service! !